to personally know all the PHP user goups Around The World – that excites me and I hope you too! This concept is also a good opportunity for new #elePHPants to know about PHP UGs. PS: Are YOU the founder or organiser of a php user group? Get in touch with me for a similar interview, make a comment below with your email and I’ll get back to you! 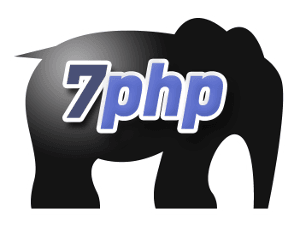 This 7PHP “Know Thy PHP usergroup” Series also has a group on FB and G+, do join us there! Hi. I’m Craig Willis. I’m a PHP Web Developer based in Leeds, UK. I’ve been a PHP Developer for about 7 years. >> What is a user group? >> What is your User Group about? I run LeedsPHP, which is, a PHP User Group aimed at sharing knowledge (ideas/code) in the Leeds and surrounding areas. We don’t really have a motto as such, but everyone who comes down to our user group knows what we stand for. >> What are the objectives and aim of this user group? Our main objectives is to promote PHP in the local community. There are a lot of businesses in and around Leeds that have or are adopting PHP within the development. We aim to promote this by having a speaker each month, with a small discussion that aims to help. We like to promote from within the group in terms of speakers, some of which have gone on to speak at international conferences as well as bringing in speakers from outside to give the group new ideas. >> How is the routine task dispatched among the team? As mentioned previously, I organise the events. I source speakers, update Twitter and the website. Our kind sponsor does all of the other organisation. >> How many meetups have been organised till now? We have had a meetup every month since we started. We’ve even had a get together when the dates fell around Christmas. >> How do you plan your meetups and what is involved? The planning of the meetup usually starts the previous month. It usually invloves asking from within the group if anyone would like to do a talk. If no-one is forthcoming, I usually ask those who have done talks at nearby user groups. The good thing about the community is, that a lot of people are very keen to come and talk. We also get people who ask to come and do a talk, who may want more experience or may need practice for a talk that they will giving at another event/conference. I’d say 99% of our attendees are members. The other 1% usually comprises of our sponsors, who turn up every month. We do occasionally get other people from other groups in the region, who would like to promote their particular group/event. For about 18 months the group was sponsored mainly by myself. I wasn’t keen on the idea of charging a membership fee, as the group was always about giving back to the community, not taking their money. I was approached by several potential sponsors, but chose one who was actually interested in promoting PHP in the community (rather than their own company). If your members work for companies, then there is always the chance to ask them if they would like to sponsor. Every little helps. The challenging thing is always finding sponsors who are willing to help out. Some may only wish to sponsor you for a particular month, so in that instance you have to find regular sponsors. The important thing for us was to find a sponsor who willing to sponsor regularly. Even if was just the venue hire. >> Do you also organize conferences open to the general PHP Community? Our speakers have covered a wide range of topics. We try and keep each month fresh, but have at times had a theme, such as Web Services. Things that I look for are mainly; ‘Will the members be interested?‘, ‘Is the talk relevant?‘. The main thing for me is to try and keep people coming back and learning. We’ve also had lightning talks (4-5 short talks) which have given attendees a chance to talk about something they’ve been working on. We don’t really reject talks. If someone wants to do a talk, then we usually discuss with them the talk content beforehand. If the talk is suitable, then we will schedule the talk into one of our meetups. >> What unique opportunity does leading a user group, presents? It gives a great opportunity to promote your user groups aims and objectives. It gets you involved in many aspects of the community. You get to know both the local community and the community as a whole. >> How is it different from other PHP user group? I don’t think we’re different from other PHP User Groups. We don’t really change our core ideas, i.e. we have the same venue and the same time. We meetup in a pub, as we feel that this is a more relaxed way of learning (plus people like to have a beer!). I think keeping things simple is key. I’ve not been to other user groups, so it will be hard to compare to others. >> Lessons learned so far.. The main lessons learned so far is that organisation is key. There’s been many times when we’ve struggled to find speakers, had issues with projectors and venues etc. >> How is organizing and running a user group different from organizing a conference? I can’t really comment on running a conference, but both need organisation and structure. Both are time consuming and both are stressful, but hugely rewarding. >> A mistake that you made and would like to share with us..
There’s no real mistakes that shout out at me, but I guess the whole organisation aspect. Making sure that on the day/evening of your meetup, that everything is ready. There has been times when things have gone wrong, mainly due to a lack of communication between all parties, so I guess that is pretty key. I’d like to thank everyone who has ever attended LeedsPHP, whether that be an attendee or someone who has come down and presented a talk. Without them, LeedsPHP would not exist. I’d like to thanks our sponsors for helping with the venue and food, again, without them, we not exist. >> Any message to the external world? The main message is, if you are in the area, come down. We are a small bunch of people, friendly and enthusiastic and all in the same boat; we all want to learn. I think user groups are a really good way of meeting like-minded people who, like you, want to improve. Hi Khayrattee, great article. I run the New Hampshire user group ( http://www.newhampshirephp.org/ ). Feel free to get in touch. You might also want to get in touch with our neighbor to the south, the Boston PHP user group ( http://www.bostonphp.org ). Feel free to email me on my email provided above.